In line with our policy here at Jazz in Reading to offer you a wide spectrum of the jazz scene – now for something completely different. 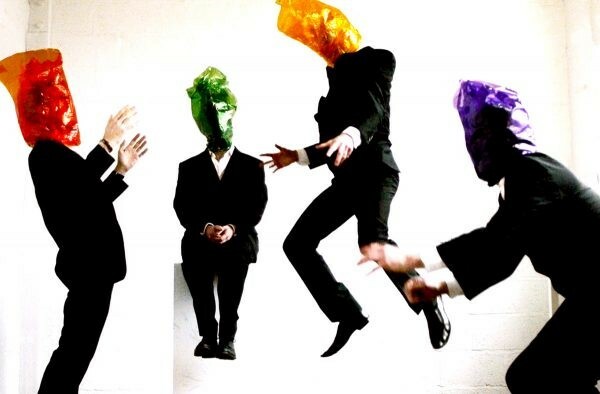 Formed in 1999 to share a fascination with the improvisation and monophonic nature of Ornette Coleman’s earlier works, Get The Blessing were “total outsiders” and “the punk entry” when they won the 2008 BBC Jazz Award for Best Album with ‘All Is Yes’. Over ten years later and five albums down the line, the same could still be said to hold true, albeit with a little more wisdom at their disposal. Their strategy is a jazz horn sound derived from Ornette Coleman’s unruly sax/trumpet harmonies, laid over the hooks and backbeats of rock, on occasions with laid back nonchalance and at others pounding rhythms, spacious atmospheres and strongly crafted melodies. Twenty years from their formation and still with a creative cutting edge, Get The Blessing are internationally lauded and renowned for their live performances. Their albums attract excellent reviews and whilst Jake McMurchie has appeared for us at Progress a few years ago, this is the band’s debut for us and we look forward to an evening of original and invigorating music.